In First Step Instructions is the act of starting something, here in AriticDesk inside “First Step” you will get all the information about the platform like the configuration, how to use the system and other information. 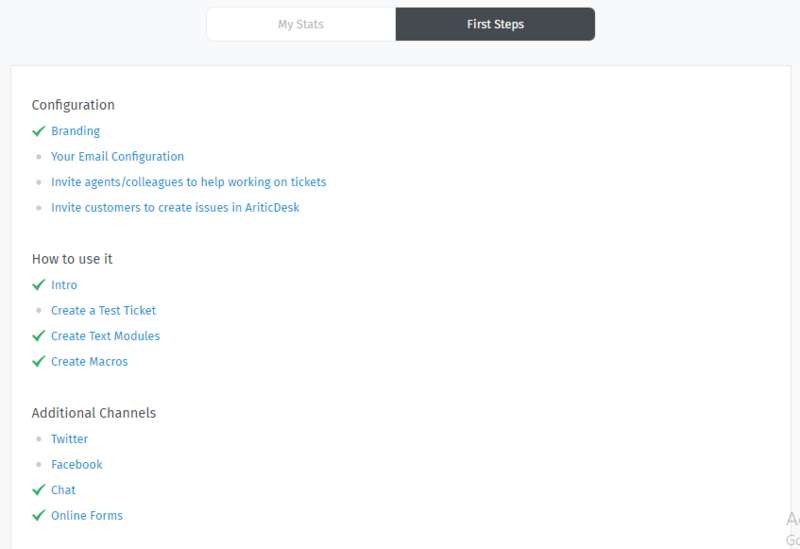 Go to AriticDesk Dashboard > First Step. Here you can see the each details of your system.